PureH2O PH21210 Replacement for Whirlpool WF-L200V filter media reduces or removes chlorine taste and odor along with sediment. 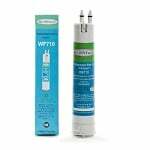 The Whirlpool EDR7D replacement filter is NSF certified to reduce contaminates frequently found in water supplies that result from runoff and industrial waste. 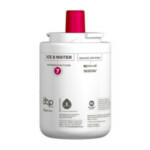 PureH2O PH21510 Replacement for IcePure RWF1600A filter media reduces or removes chlorine taste and odor along with sediment. The PureH2O PH21200 Replacement for Whirlpool WFNL300 fits side by side refrigerators with filter access through the front grille. 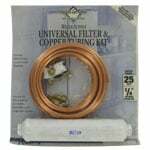 The Filters Fast FF21230 is the correct replacement for the OnePurify RFC1800A. The PureH2O PH21200 Replacement for Whirlpool 2203220 fits side by side refrigerators with filter access through the front grille. 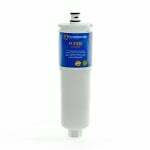 The Whirlpool 2260518W replacement white refrigerator water filter cap protects your filter while in operation and keeps the clean appearance of appliances. 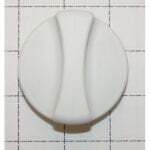 Simply pull off your old or damaged cap and pop on your new one. 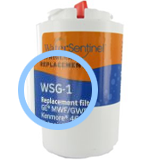 The Aquafresh WF710 Replacement Filter for Whirlpool 2RFWG2 Refrigerator Water Filter is designed for for side-by-side refrigerators with access through the front base grille. The PureH2O PH21200 is the correct replacement for the OnePurify RFC-P05. PureH2O PH21210 Replacement for Whirlpool WF-L200 filter media reduces or removes chlorine taste and odor along with sediment. 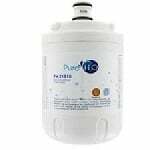 PureH2O PH21510 Replacement for Brita MYRF-100 filter media reduces or removes chlorine taste and odor along with sediment. 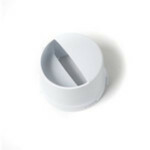 The Whirlpool 2186494 Filter Cap is used to cover filters 4396508 and 4396510 that are located in the front base grille of Whirlpool Side-by-Side refrigerators. 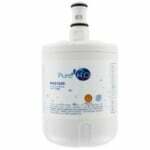 The PureH2O PH21200 is the correct compatible replacement for the Waterfall WFC1001. PureH2O PH21210 Replacement for Whirlpool WF-NLC120V filter media reduces or removes chlorine taste and odor along with sediment. PureH2O PH21210 Replacement for Whirlpool 4396702 filter media reduces or removes chlorine taste and odor along with sediment. PureH2O PH21210 Replacement for Tier1 RWF1021 filter media reduces or removes chlorine taste and odor along with sediment. 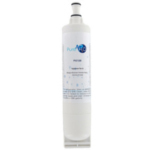 PureH2O PH21210 Replacement for Whirlpool WFL200 filter media reduces or removes chlorine taste and odor along with sediment. 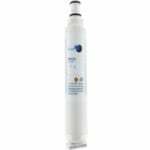 PureH2O PH21210 Replacement for Whirlpool WFL200V filter media reduces or removes chlorine taste and odor along with sediment. PureH2O PH21210 Replacement for Whirlpool WF-NL120V filter media reduces or removes chlorine taste and odor along with sediment. PureH2O PH21210 Replacement for Whirlpool 2301705 filter media reduces or removes chlorine taste and odor along with sediment. The PureH2O PH21210 is the correct replacement for the HDX FMW-3. The PureH2O PH21220 is the correct replacement for the HDX FMW-4.